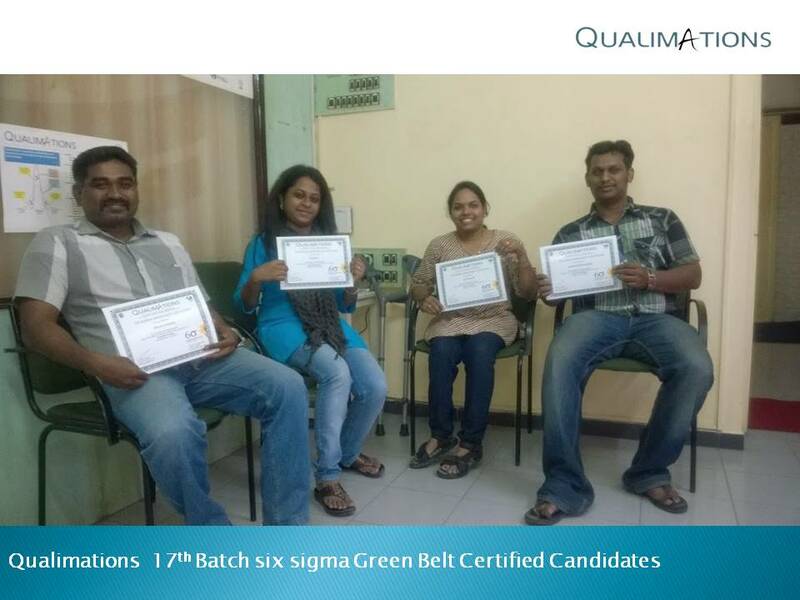 The Green belts training helps you to understand deep into the Six Sigma techniques and also into the management of the quality improvement program. You will be able to develop a clear lead into most of the process controls and development activity after the completion of this program. 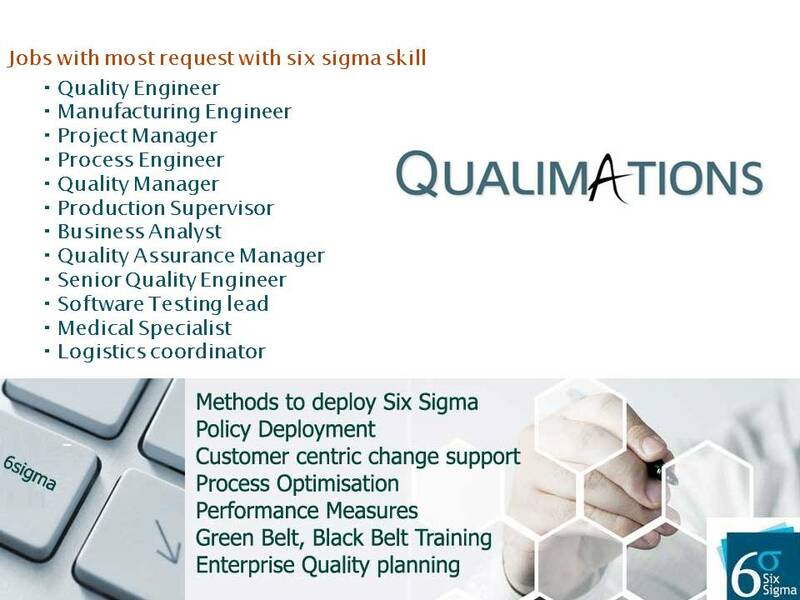 Qualimation will guide in the use of DMAIC approch and support you in its implementation. 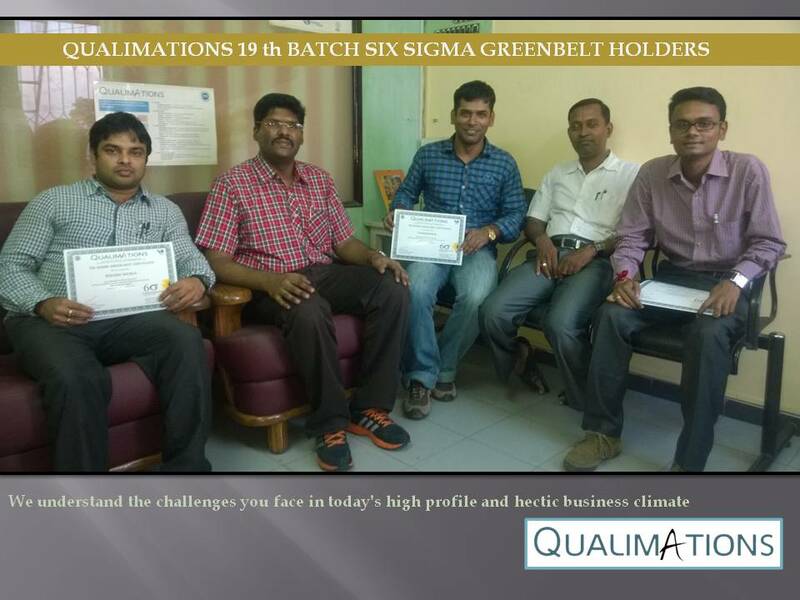 The green belts have to coordinate the implementation of six sigma in their respective areas within the organisation. They also support the black belts in forming the company wide six sigma implementation effort. We also support you in Integrating the Deep Analysis Six sigma program into your business strategy. Many companies have tried to fill the gaps in their talent and experience pools by taking this proven approach, and the results have often been astounding. The best way to approach this is to train and raise the skill of your own employees. 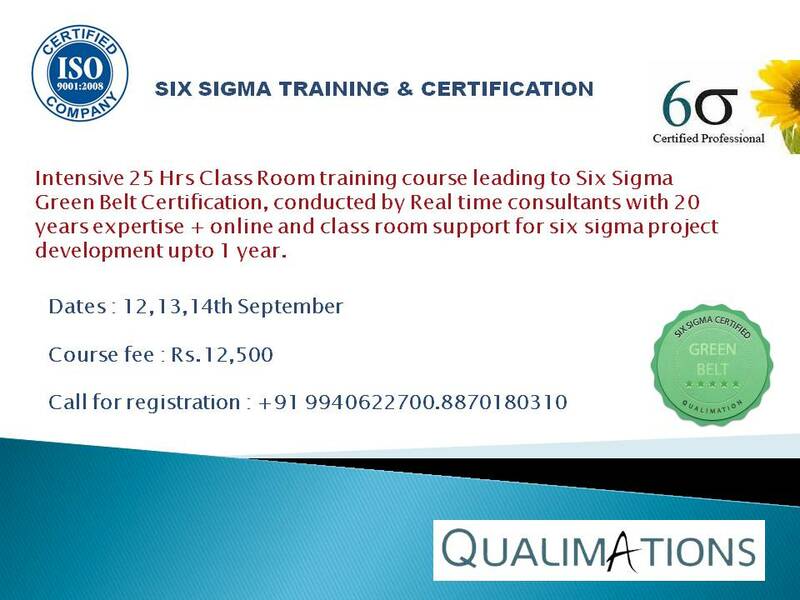 Click to view the six sigma training feedback.